Deals 74 damage. When your opponent attacks, they will suffer 64% of their dealt damage. Lasts 2 turns. Deals 46 damage. Flip a coin. If heads, the opponent is now Burning. 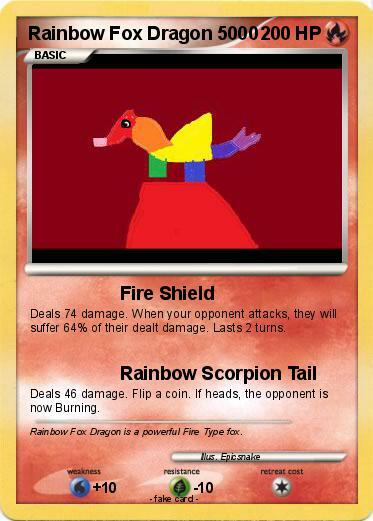 Comments : Rainbow Fox Dragon is a powerful Fire Type fox.